Do your employees require on-the-spot resources to tackle tough tasks? Are you looking for ways to refresh their memory during their "moment of need"? In this article, I'll share the 8 best practices for developing just-in-time online training. Just-in-time online training provides employees with vital information when they need it the most. Instead of waiting for the next online training course, they can brush up on skills and improve task performance at a moment's notice. As such, just-in-time online training resources must be quick, convenient, and targeted to the specific goals and needs of your employees. Here are the 8 best practices to keep in mind when creating just-in-time online training. Just-in-time online training is often spontaneous. However, it takes careful planning, organization, and research to develop effective online training content. The first step is creating a detailed road map of what topics to cover and how to address employees' needs. With your data on-hand, write learning objectives that center on performance and skill gaps. These will serve as a framework for your outline. Then determine which online training activities align with these objectives. For example, improving task proficiency may call for online training simulations or online tutorials. The thing to keep in mind is that you don't have to cover a lot of training ground with just-in-time online training resources. In fact, you should pair one learning objective per online training activity or module. Only include the necessary information that employees need to complete the task or improve their performance. For example, employees must be able to ring up a purchase. The online tutorial or simulation should only cover the steps involved and the essential skills. Employees don't need to know about every function of the POS system or how to perfect their sales approach. The online training resource must center on the problem at-hand so that they can get through it quickly and move on. Your staff always has the opportunity to access additional online training tools to fill additional gaps. The primary benefit of just-in-time online training is that it addresses learning "pain points". For example, skill gaps that employees must fill in order to improve their productivity. There is a sense of urgency, as an obstacle is standing between them and the desired outcome. As such, every online training module, activity, and multimedia element must focus on a particular task, skill, or challenge. One of the most effective ways to identify these pain points is employee feedback and careful analysis. Conduct staff surveys, on-the-job observations, and skill assessments to reveal areas for improvement. Just-in-time online training must be easily accessible and digestible. Employees don't have time to look for the information they need or participate in lengthy online training activities and modules. Therefore, you might consider a microlearning online resource library that is neatly organized by category, task, or department. Each online resource should be bite-sized so that employees are able to quickly absorb the key takeaways. For example, a 3-minute online tutorial on how to complete a common workplace task. Your staff has the opportunity to replay the online tutorial whenever the need arises. In addition, top performers can use this microlearning online resource library to expand their knowledge. They even have the ability to create their own personalized online training course by piecing online training content together. This leads to an increase in employee satisfaction, which has a direct impact on your turnover rates. Multiplatform-friendly online training content goes hand-in-hand with microlearning. Employees don't have access to PCs round-the-clock. Which means that they must wait until they get to work to build their skills. However, many eLearning authoring tools and Learning Management Systems now offer responsive design features. You can create a master layout that adjusts to fit any device or browser. It's also important to focus on the online training content itself. For example, avoid hyperlinks and ensure that navigation icons are clearly visible. Employees must be able to apply what they’ve learned in the workplace. Online training simulations, branching scenarios, and real world examples give them the power to put their knowledge into practice. They can explore all possible outcomes and gain real world experience in order to improve their performance. These online training activities also enable them to realize their strengths and weaknesses while there is still time to improve. For example, the online training simulation may reveal that they lack a certain skill. As a result, they seek out additional online training resources to fill the gap. Many just-in-time online training activities are asynchronous. Employees can access them on their own and there's no need to interact with their colleagues. However, there are occasions when staff members may require peer-based support. Social media groups, online forums, and corporate eLearning blogs give them this opportunity. They have the ability to post questions, share their opinions, and offer feedback. You can even incorporate social learning activities to make training more interactive, such as group projects and online discussions. Last, but not least, create a list of support resources that includes contact emails, social media links, and possibly an FAQ for quick reference. Employees must have the opportunity to test their own progress and identify areas for improvement. However, there may not be time to take a pop quiz after they finish the online tutorial. As such, online assessments should be completely voluntary. Bear in mind that just-in-time online training resources are online support tools that complement your traditional training. Optional online assessments are there for employees who want to gauge their proficiency and remedy performance gaps. But they should also have the opportunity to access quick online training activities and modules with no-strings-attached. An increasing number of organizations are adding just-in-time tools to their online training. This comes as no surprise, since it gives employees the crucial information they need to fulfill their work responsibilities. As a result, organizations see an increase in employee retention, online training ROI, and company profits. Are you thinking of creating an online training course for your employees but you are not still convinced? 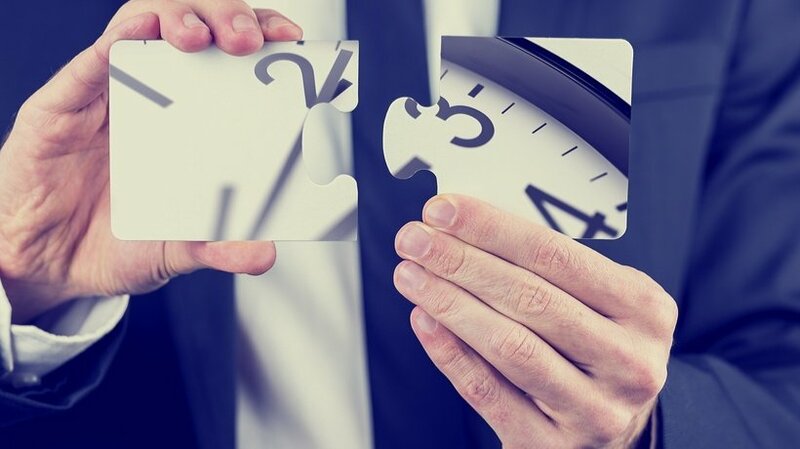 Read the article How To Use The 5 "Moments Of Need" Model In Corporate eLearning to discover how you can use the “moments of need” to your advantage when designing online training courses.